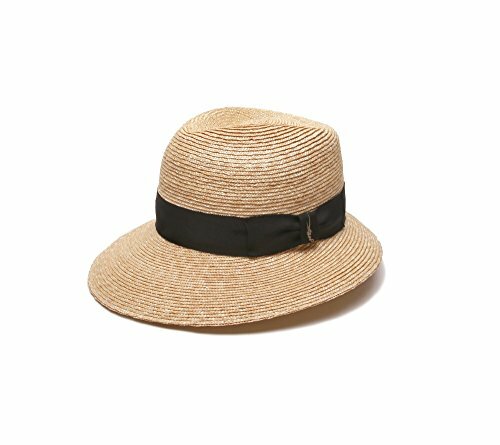 The Gottex Charley sun hat brings together the classic fedora shape with an unusual 3.5 inch asymmetrical brim. The brim is wide enough to shade forehead, eyes, ears and cheeks from harmful UV rays. Gottex by Physician Endorsed. Welcome to a world where sun protection and style are synonymous. Physician Endorsed, the leading line of hats and sunglasses which were tested and rated for maximum sun protection is pleased to present our spa collection. The spa collection, which stands for Sun Protection Accessories, offers Physician Endorsed's trademark, guaranteed sun protection of up to SPF 30. Physician Endorsed makes sun protection a snap for fashionistas seeking the season's must-have head wear looks. The innovative, chemical-free hats are specially constructed with tightly woven, natural fabrics, including 100 percent cotton and linen, designed to prevent cancer, wrinkles, and signs of aging due to sun exposure. Fabulous and functional, Physician Endorsed hats and sunglasses provide 96-99 percent protection against UVA and UVB rays, making them a favorite of celebrities, plastic surgeons and dermatologists. Asymmetrial Brim: measures 3" in the front, not only looks stylish, but is also wide enough to shade forehead, eyes and cheeks from harmful UV rays. Rated UPF 50+ for maximum sun protection; Along with fabric that has been certified UPF 50+, a brimmed hat offers the necessary protection for your ears, temples, cheeks and neck. If you have any questions about this product by Gottex, contact us by completing and submitting the form below. If you are looking for a specif part number, please include it with your message.